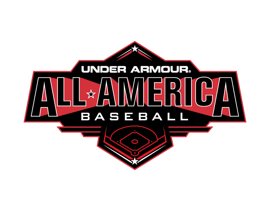 Baltimore, MD (June 30, 2016) – Today, Under Armour® and Baseball Factory proudly announce the next wave of elite players to be added to the All-America Baseball Team roster. These talented young athletes will join other select high school players at the iconic Wrigley Field on Saturday, July 23, where they will play in the ninth annual Under Armour All-America Baseball Game. The Under Armour All-America game is just part of the four-day event, providing players with a once-in-a-lifetime baseball experience. These premier players will work with a coaching staff that includes some of the game’s best former players such as Bill Ripken, Wes Helms, Tim Hudson and Eric Milton. During the week, athletes will participate in a formal workout in front of Major League Baseball (MLB) scouts, and participate in a home run derby. The game itself pits the American and National teams against each other, where the players will showcase their skills in front of thousands of fans. For more information on the 2016 Under Armour All-America Baseball Game, powered by Baseball Factory, please visit www.baseballfactory.com/AllAmerica. Baseball Factory has developed programs to provide players with world-class instruction and life-changing experiences, which when combined, lead to future success both on and off the field. 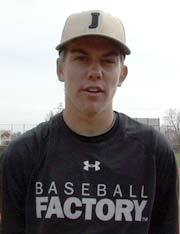 Baseball Factory holds over 600 events nationwide each year in all 50 states and over 150 cities. We pride ourselves on giving families an unbiased assessment of where they stand against other players nationwide. Baseball Factory events have featured more than 400 players who have played or are currently playing in the Majors and over 75,000 players have gone on to play at the college level. 100% of Division I, 98% of Division II and 98% of Division III programs have at least one Baseball Factory alumnus on their roster. Learn more at www.baseballfactory.com.